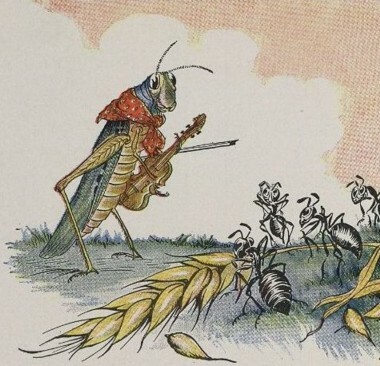 The Butterfly Ball and the Grasshopper’s Feast is a concept album and subsequent live rock opera appearing in 1974 and 1975 respectively, based on the children’s poem of a similar title. The album cover design is from Alan Aldridge’s design for a 1973 book based on the poem. Renowned illustrator Alan Aldridge introduced the fantastical world of the Butterfly Ball in this breathtaking modern classic. A grasshopper jumped on an elephant’s toe. Why don’t you pick on someone your size? The Ants shrugged their shoulders in disgust. “Making music, were you?” they cried. “Very well; now dance!” And they turned their backs on the Grasshopper and went on with their work. There’s a time for work and a time for play.